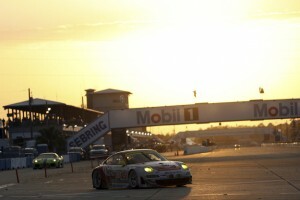 Porsche drivers are preparing for the 12 Hours of Sebring this coming weekend (19th March 2011). This classic sports car race, inaugurated at the Florida circuit in March 1952, kicks off the start of the American Le Mans Series this season. 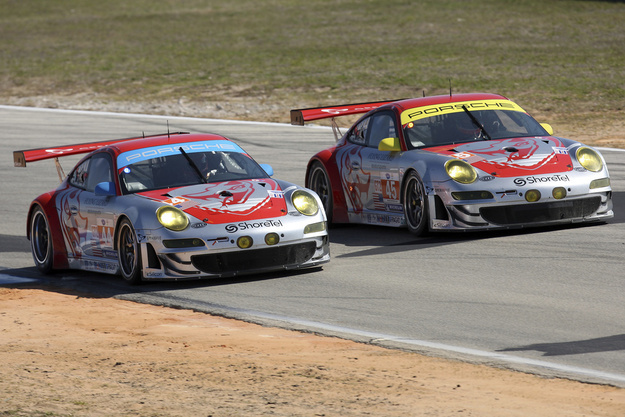 Six works drivers will compete in customer teams which are running the 911 GT3 RSR. Joerg Bergmeister (Germany) and Patrick Long (USA) will defend their GT class title for Flying Lizard Motorsports, along with Marc Lieb (Germany) in car 45. Fellow works driver Marco Holzer (Germany) will join Darren Law and Seth Neiman in Flying Lizard’s car 44. 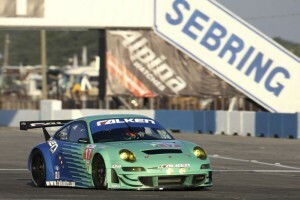 Wolf Henzler (Germany) is driving for Team Falken and Richard Lietz (Austria) for Proton Competition; René Rast (Germany) is racing for the first time in the USA in the 911 GT3 RSR of Paul Miller Racing. Two further Porsche works drivers, Timo Bernhard (Germany) and Romain Dumas (France), are racing an Audi R15+ in the LMP1 sports prototype class. The Porsche drivers – most fresh from testing for the European Le Mans Series and some buoyed by success at Daytona last month – are competing in the 2011 911 GT3 RSR, which has its 4.0-litre, six-cylinder engine boosted to 455bhp, and which has received aerodynamic modifications front and rear. The world’s most famous 12-hour race debuted on March, 15, 1952, -and, together with the 24 hour events in Daytona and Le Mans, is one of the most traditional long distance classics. Immortalized on the winners’ list are racing legends like Juan Manuel Fangio, Phil Hill, Dan Gurney, Jacky Ickx and Mario Andretti. Race mad Hollywood stars have also competed, like Paul Newman and Steve McQueen, who finished second overall in 1970 with a Porsche 908. Last year, Porsche driver Hans Herrmann visited the circuit in celebration of the 50th anniversary of Porsche’s first win at Sebring, as he and co-driver Olivier Gendebien won the race in 1960 in a Porsche RS60. This year is the 40th anniversary of the Porsche 917K win by Vic Elford and Gérard Larrousse, and both drivers will be at the track Friday to sign autographs and participate in the festivities. With 18 overall and 64 class victories, Porsche is the most successful manufacturer in the history of the Sebring 12 hour race. In addition to the 1960 Hans Herrmann/Olivier Gendebien win, Porsche went on an unprecedented winning streak from 1976 to 1988, with 13 overall wins in a row with drivers like Hurley Haywood, Al Holbert, Brian Redman, Bob Wollek, A.J. Foyt, Bobby Rahal and Hans-Joachim Stuck. 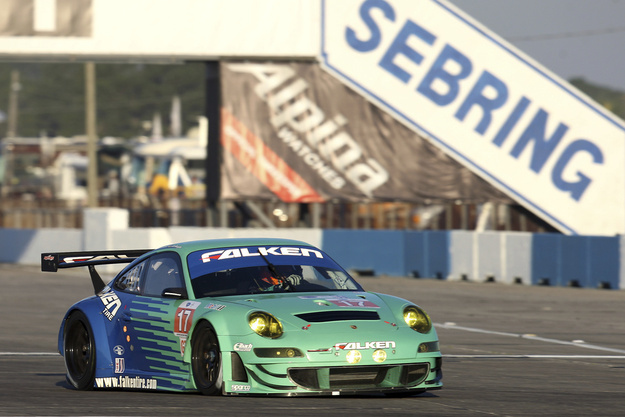 In 2008, Joerg Bergmeister, Wolf Henzler and Marc Lieb secured GT2 class honors with the 911 GT3 RSR run by Flying Lizard Motorsports, while Greg Pickett, Klaus Graf, and Sascha Maassen won the Sebring LMP2 last year in the Muscle Milk Porsche RS Spyder. 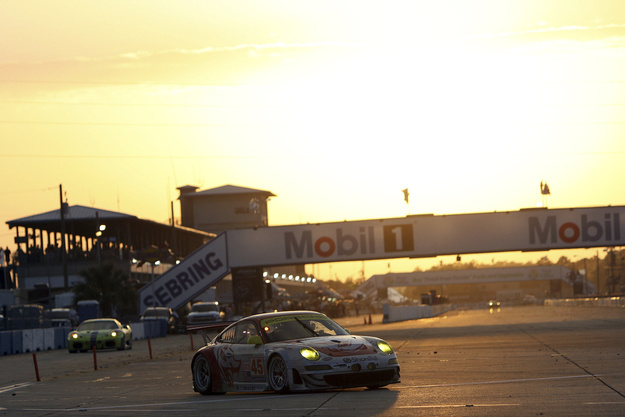 “Sebring is a real highlight for Porsche not only for the history we have here – and the 18 overall wins – but because it is an important beginning to a season where the GT class champion must finish well here to compete for the title. 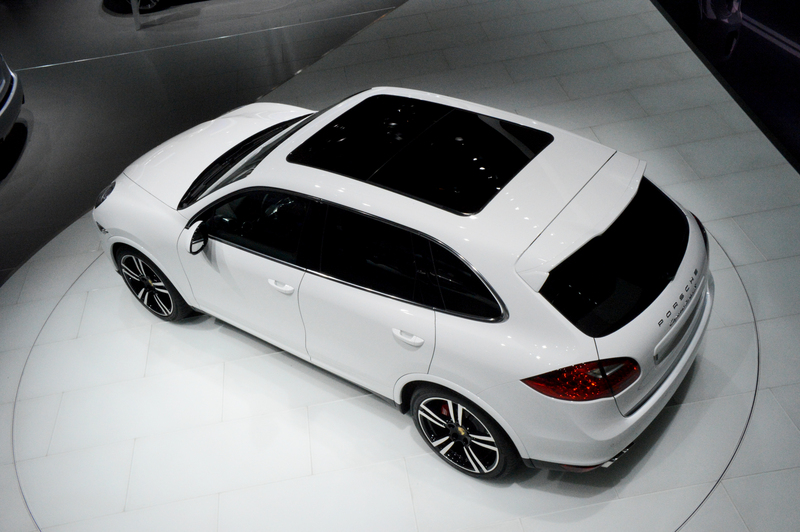 Not scoring maximum points at Sebring can ruin your title chances right at the start,” said Jens Walther, president of Porsche Motorsports North America, Inc.
Perhaps you’re already camped out at Florida’s Sebring racetrack watching Friday’s support races and qualifying. 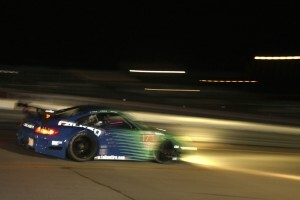 If not, there are several ways to follow the 12-hour ALMS race on Saturday, when it starts at 10.30am EST. Portions of the race will be shown on ABC while much of the race will be streamed live online on www.espn3.com — as long as your broadband internet provider carries it. You can also watch the race on Xbox Live. 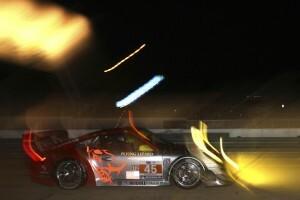 And, if you’re outside the USA you can watch the race on www.americanlemans.com.